Despite the economic recession in Nigeria in 2016 and slow recovery in 2017, retail tissue sales maintained their upward trajectory, recording an increase in volume of 1% in 2016. Sales are expected to see healthy growth over the next five years, at a 5% CAGR through 2021, to add 14,000 tonnes in incremental sales. Nigerian tissue consumption still falls significantly behind developed markets. Per capita usage in Nigeria stands at only 0.3kg per year, compared to 13.5kg in North America, 8.7kg in Western Europe and 3.9kg in South Africa in 2016. At the same time, Nigeria’s unmet potential for retail tissue alone (excluding AfH sales) is estimated to be well over 600,000 tonnes. Growth in incomes, population growth and habit formation have been the main drivers of demand over the past few years. While economic slowdown affected the demand to some degree, positive population trends and habit formation will carry the momentum forward, further supported by focus on more affordable products to meet the demand of the vast low-income consumer base. The biggest seller in retail tissue is toilet paper, accounting for 95% of retail volume sales. In Nigeria, it is used for a wide variety of tasks including as a substitute for facial tissue and wipes. In 2016, retail sales of toilet paper in the country grew 1% in volume, with a further projected CAGR of 4% through 2021. Recycled toilet paper is expected to drive growth. The relatively low price of toilet paper further supports the continuous purchasing of the product, even in challenging economic times. Premium-positioned toilet paper in Nigeria has struggled during the economic recession of 2016 and in 2017. Having only been introduced to the Nigerian market over the last five years, premium products are yet to gain wider acceptance. Lower cost economy toilet paper brands, on the other hand, have more patronage from the lower-income groups. However, lower priced products also drew middle-income earners due to the recessionary trends and consumer cuts on spending. Most recycled toilet paper falls into the economy toilet paper category. Nigerian forestry resources have struggled to meet the demand from tissue manufacturers, which turned to recycled fibre to meet their production needs as well as the needs of consumers looking for cheaper alternatives. With imports of pulp becoming significantly more expensive in 2016 and 2017, due to the strong depreciation of the local currency, and the shortage of foreign exchange in the country, manufacturers such as Bel Impex sourced more recycled material to produce their brands, such as Rose Plus and Softwave, also making them more affordable. Brands like Rose Plus use a mix of pulp and recycled fibre. On the other hand, brands like Finetex and Softwave are made from 100% recycled fibre. Interestingly, recycled content and claims are not usually displayed on the packaging, which helps to motivate sales, as many consumers believe that “recycled” implies the use of recycled toilet paper. The production of recycled toilet paper at lower costs and as a result better price in retail, coupled with the growing middle-income population becoming more money savvy, further boosts sales of recycled toilet paper. Obstacles to reaching the full potential of toilet paper sales in Nigeria include traditional use of alternatives, mainly water cleansing. It is common amongst Nigerians, especially Muslims who make up about 50% of the population, to use water instead of tissue paper. This restricts the market penetration of toilet paper in the country. However, as urbanisation and modernisation continue, the traditional habits change in favour of tissue products, although not necessarily on a daily basis. 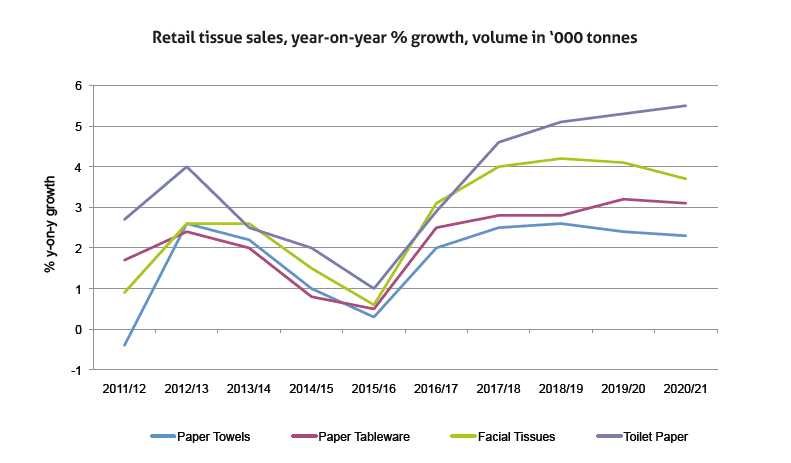 With a vast consumer base in the low income segments and significant focus on affordable products to drive consumption, unit prices for tissue in retail are expected to fall in real value terms over the next few years. The trend is facilitated by intense competition from cheaper domestically manufactured products, which is expected to lead to further price discounting in retail. While encouraging consumption and further household penetration, lower prices in retail will pose a challenge for the industry’s profitability. 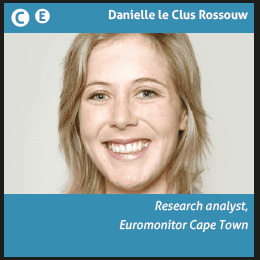 Cost reduction and economies of scale will therefore be at the core of tissue manufacturers’ activities to ensure a balance of low retail price and healthy margins. Share the post "Consumer tissue in Nigeria: Focus on affordability"